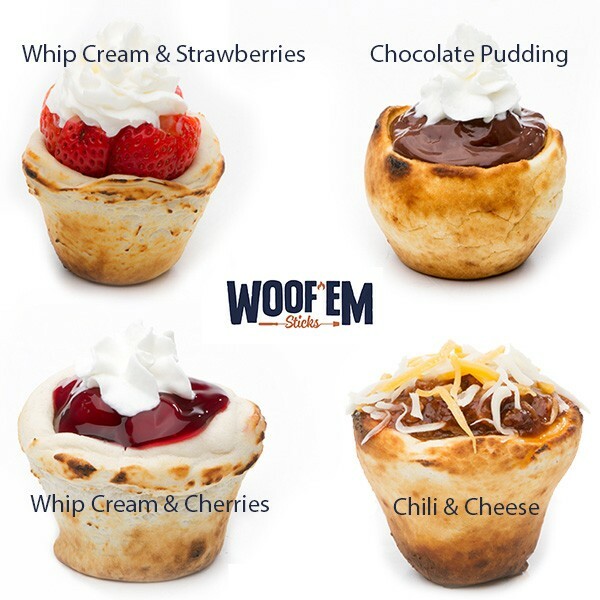 Woof'Ems are delicious little toasted biscuit cups, filled with your favorite pulled pork recipe, white chicken chili fixins, scrambled eggs & bacon - and especially delicious and easy dessert recipes! Load them up with chocolate pudding, cherry pie filling, fresh fruit and a dollop of whipped cream! Then "WOOF' EM" down! Toast Woof Em's over a campfire, outdoor fire pit, barbecue or propane stove. On a camping trip or in your own backyard - family fun - guaranteed! 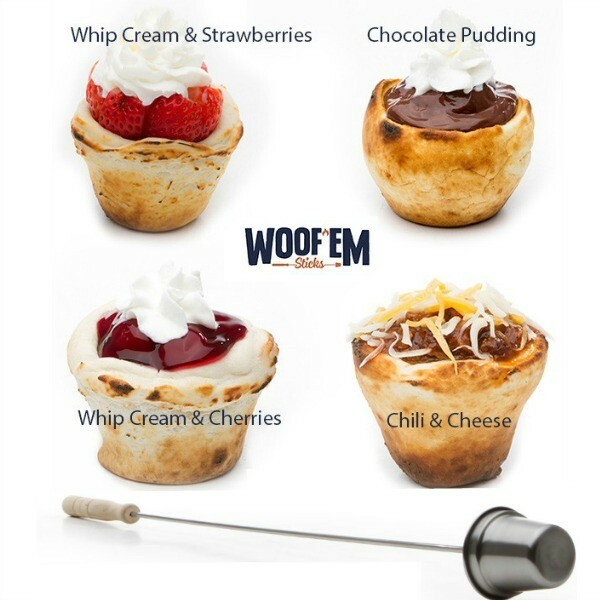 Move over Smores - Woof' Ems are here and we're taking campfire cooking to a new level. 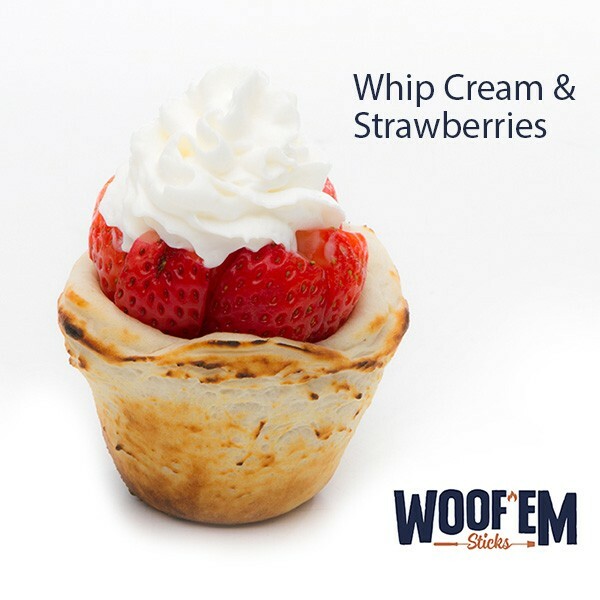 Wrap store bought biscuit dough around the 'cup' of your Woof' Em Sticks and toast over a campfire, barbecue pit, outdoor fire pit or a propane stove. 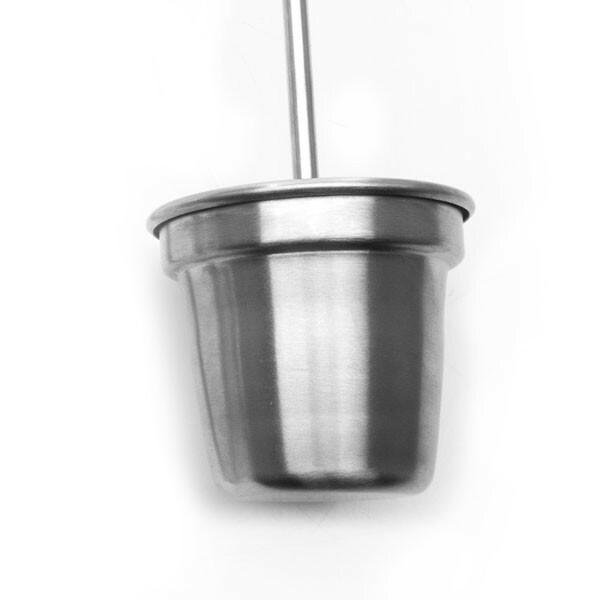 Fill with pulled pork, topped with cheddar cheese and sour cream. How about your favorite white chicken chili recipe or do breakfast over the campfire and fill with scrambled eggs, cheese and bacon. Then serve quick and easy desserts everyone will have fun toasting and filling with all their favorites. Lemon, cherry and blueberry pie filling, vanilla, chocolate & butterscotch puddings, fresh fruit, even a quick scoop of ice cream. Always be sure to top with a huge dollop of whipped cream! The most adventurous usually have at least three!